Once again, we get to review a nice pair of headphones from the German company of Beyerdynamic. The headphones we’re about to review are the Beyerdynamic DT 990 Pro. In the past, we’ve reviewed the 1990 Pro, among others. The 990 ones are similar, but we’ll tell you more about these ones that don’t cost as much. Similar to the 1990, you have the soft, velour earcups. These feel so soft and comfortable- maybe the best feature of the headphones. They’re very lightweight, although the 9.8 ft coiled cord (which comes with a 1/4″ adapter) can be a bit cumbersome unless you are sitting still. These headphones are designed more for professionals who do mixing and are in studio settings, so I don’t suppose they will be using them to listen to music on their phones. The cord is not removable like on the 1990 cans. The headband is made of a metal material, but covered by a soft, padded material that can snap off when if it needs to be replaced. A cloth carrying bag is included, as well. There are different ohm impedance models, and the ones that we are reviewing have a 250 ohm impedance. You’ll want to make sure to get the right ones for the device you plan on using them on, as that can affect sound quality. The sound is what you would expect at this price level- without an emphasis on any certain sound levels. They are open back headphones, so you won’t be blocking out sound from around you, and they aren’t something you want to use in the library. Of course, these headphones are really made for studio listening, so that probably won’t be an issue for buyers. While the 1990 Pro headphones are an upgrade in many ways from the 990 Pro, there is also a significant price difference. With these, you will only be spending about $179 as opposed to the $599 price tag of the 1990s. That concludes our review. What headphones do you like the best? Let us know in the comments below. 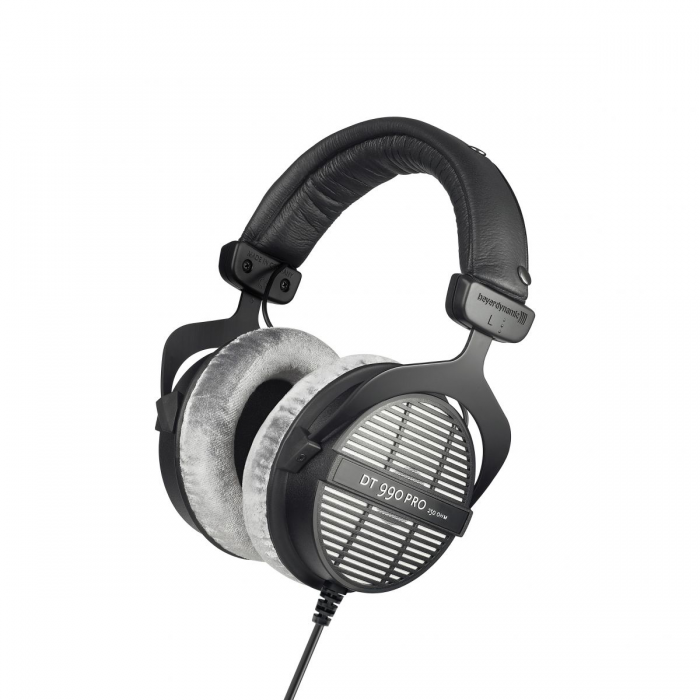 This review was a hands-on review thanks to Beyerdynamic lending us a pair to review. No compensation has been given in exchange for our fair and unbiased review.